Having identified the opportunity with PHP, seeing the massive potential and realising that time was of the essence, I needed to move fast, but I was still missing one critical element: a team. So, with a maverick salesman and partner (Paul Wander) on board, how could I begin to build a strong PHP professional services company? Paul got the whole open source idea: PHP, LAMP and other technical concepts. He just loved it. He, like me, was a techie at core. Maybe it wasn’t so difficult for him after selling insurance software (zzz...). 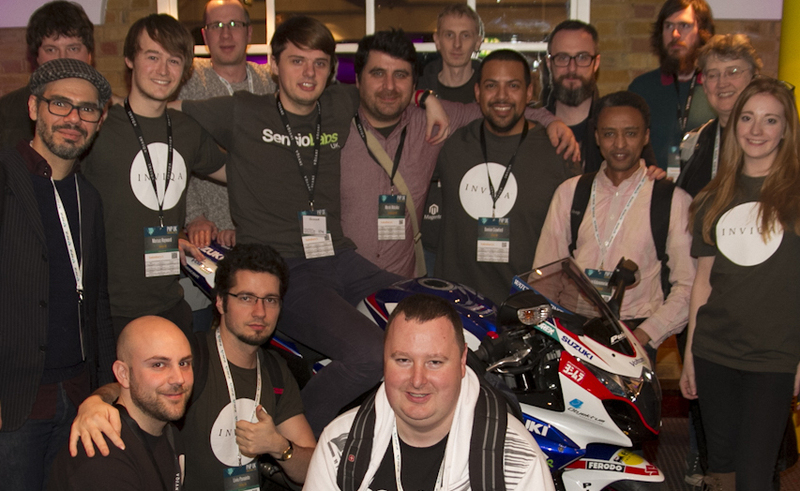 As the Zend representatives in the UK, we sat on top of the Zend sales force and could see every download of any Zend product by anyone in the UK. If it was Joe Blogs in his loft doing some PHP, we would ignore it, but if it was a large enterprise, we would immediately engage with them, go to meet them and come back with a 'shopping list'. We became more and more successful promoting Zend and their products in the UK, and we started to learn more about the PHP ecosystem. We were introduced to some big players, but none from the UK, which was on one hand promising (no competition), but on the other hand frustrating, as we couldn’t learn from a true enterprise-level professional services company about PHP projects. Then, Zend told us about a small Dutch company who specialised in PHP called Ibuildings. So, I met the owners, Tom and Jeroen, and told them about our plans for the UK. My message was very simple: 'You are in the Netherlands with 30 people and totally focused on enterprise PHP, but it’s a small country. We are in the UK – a bigger country – but we have no PHP experience. You are strong in the technical area, while we’re strong in sales, marketing, business development and management. Let’s get together and form the biggest and best PHP company in Europe'. They agreed and thus Ibuildings UK was born. They managed the Dutch operation, and we managed the UK. But we had one major problem – we still didn’t have any PHP developers. Ibuildings had a superb CTO called Ivo Jansch who was a PHP guru and a world-renowned expert in open source, well respected in the PHP community, a speaker at PHP conferences across the world, author of books on enterprise PHP, and a major PHP influencer. I told Ivo: 'I don’t want inexperienced people who have done some PHP as a hobby, but experienced software engineers, preferably with a degree in Computer Science, who understand and have proven experience in enterprise-level PHP including scalability, architecture, performance and testing'. Then I threw down a challenge: 'Find me the best PHP developers in the world and I will convince them to come to the UK'. 'Sure' he responded, 'There's Mikko in Finland, Marcello in Portugal, Lorenzo in Italy…' and on, and on. The response was amazing. They all came to the UK, some even without a contract in place. They formed the backbone of the superb team we have built over the years. They have allowed us to provide services to some of the largest companies in the UK in media, publishing, gambling, entertainment, and retail. Recruiting these amazing software engineers was one of the most significant breakthroughs and important initiatives we embarked on. It was the strong and robust platform that enabled us to build the best and biggest PHP company in the UK. But we didn’t stop there. We continued to hire and collect these amazing software engineers who just wanted to join an elite band of PHP maestros. In the early days it was relatively easy. We created a buzz in the PHP world using social media, attending conferences, seminars and PHP meet-ups. Developers approached us and wanted to work with the 'A-team'. They wanted to be part of this phenomenally fast growing PHP focused company, where they could work on challenging projects, and grow and improve their PHP experience. With the help of Mikko Koppanen and Ivo, we built our own process of identifying real diamonds in the PHP world. Mikko created what was later called the Mikko Test: asking the candidate, in his/her own place and time, to build a PHP application based on a specification Mikko created. Once we received the code, we would test it (run it) and review the code to assess whether it was to the quality that we required – the standards were very high. Once Mikko (and later other senior developers) were happy with the code, we would invite the candidate for a technical interview. This was quite challenging and sometimes intimidating for the candidate to sit with two technical gladiators. They’d be quizzed for about an hour, not just about PHP, but to make sure that they were real software engineers with the calibre we needed. If the candidate came out of that arena alive, then he/she would have their final interview...with me! Yes, I am involved in every hire that we make, whether it’s a director or a receptionist. I will describe in a different blog why and how that is done. For entrepreneurs looking to build their own teams, I advise this: hire the best. We wanted to be the best PHP company in Europe, so we started by hiring the best PHP developers in the world. My motto is to always go for the best and never compromise. It isn’t always easy to do, especially when you’re a start up, but you need to aim high. Keep the standards high! Mediocre isn’t in my vocabulary, and if you want to succeed, it shouldn’t be in yours either.